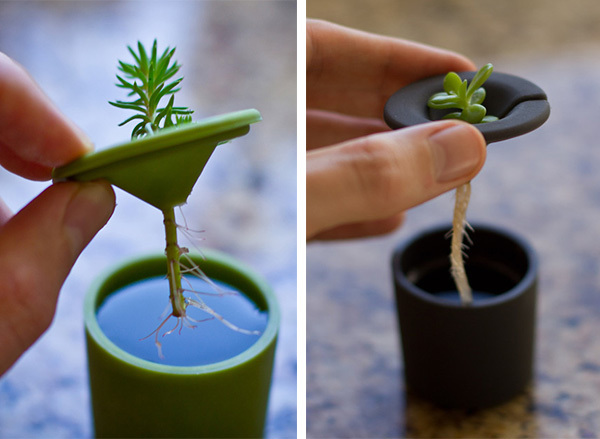 Rootcup - love this simple, elegant solution to growing plant cuttings! 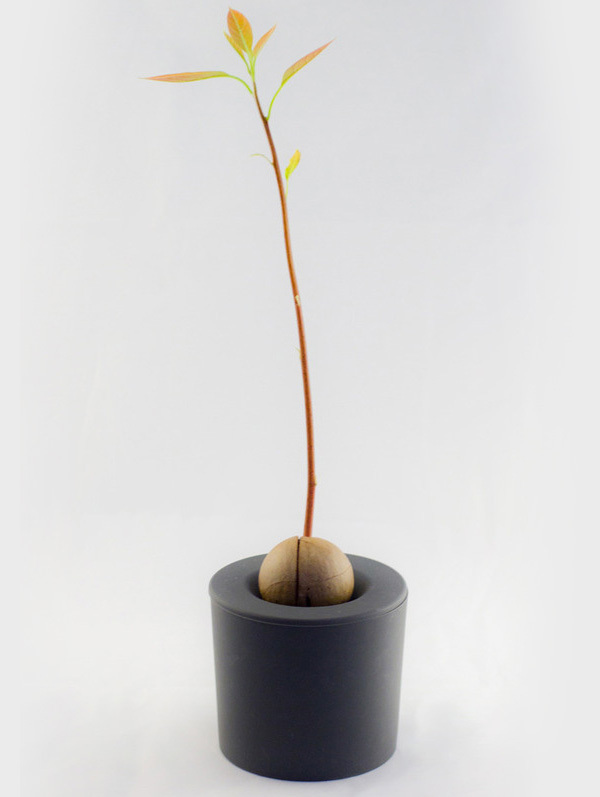 Designed by product development firm, good3studio of Michael Good in San Francisco. 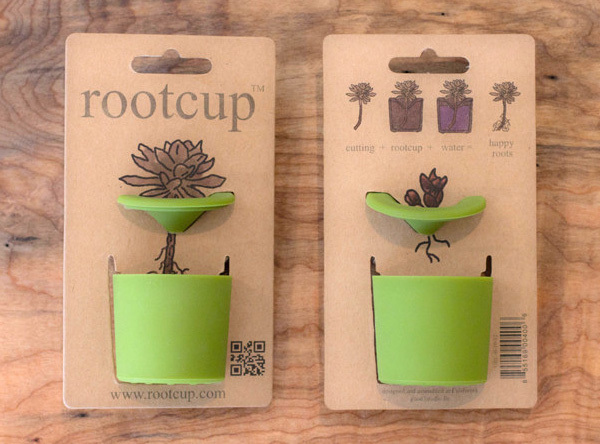 The root cups are molded from a flexible elastomer that’s highly UV resistant, nonporous, and water proof, and have such nice details! 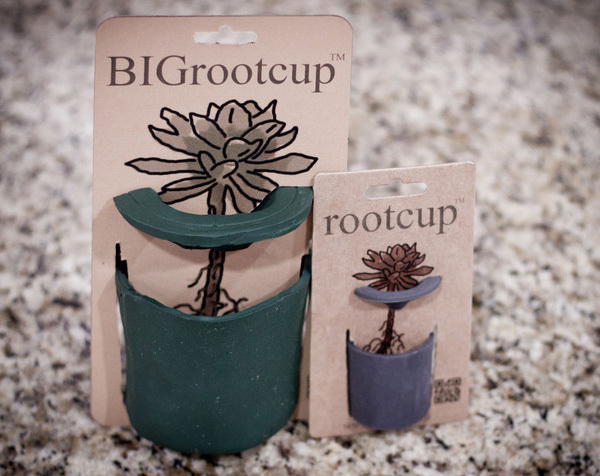 The flexible lid helps protect the roots from light, holds the cutting’s leaves above water, captures evaporating water, and has a slot to help easily remove cuttings when ready for planting… and it now comes in a BIGrootcup as well… or it nearly does, their kickstarter campaign just successfully completed for the big ones! 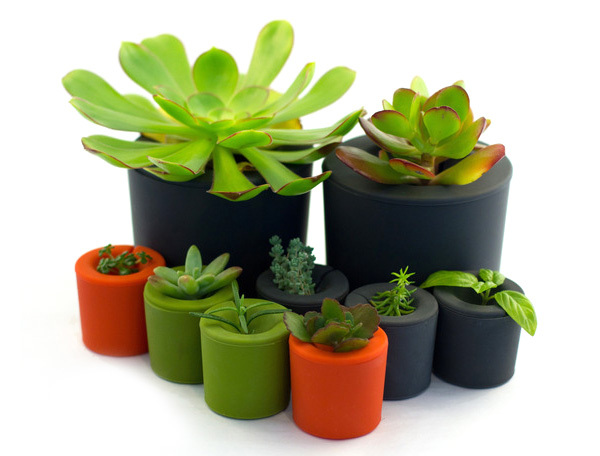 See more details of both sizes on the next page!